In the early decades, the grand jury could conduct their own investigation in cases such as complaint of a crime, irresponsible conduct of a public official, and incompetent or malicious prosecutions. Currently, the grand jury is entitled to conduct official proceedings, hears evidence and decides whether someone should be charged with a crime, that is, determines the probable cause; whether guilty or innocent is not their responsibility. It is defined as a set of citizens who are typically elected by the same group and that shall be the jurors. These people are required to take an oath before a court to hear the case they will represent. The grand jury is composed of not less than 12 and no more than 23 people while in the federal courts, the number is not less than 16 or more than 23 people. Unlike juries, grand juries usually do not call every day. Many federal grand juries usually sit only once a week or twice a month. If you need to file an Injury Claim, you must know that the state of Florida requires you to do in the county where the accident occurred, or where a defendant resides.For injuries under $ 15,000, a suit can be filed in the county court. Circuit courts of Florida have authority with claims that cost more than $ 15,000 in damage. If you file in the county court, you risk not recovering more than $ 15,000. How are Jurors Selected? "Quorum"
The grand jury spends much time listening to the testimony of witnesses and examining evidence in order to determine whether the evidence justified the charge. Each federal judicial district has a prosecutor or lawyer in the U.S., which duty is to represent the U.S. in federal cases to prosecute those accused of the crimes. The Prosecutor of the U.S. or any Assistance U.S. Attorney will present evidence of the alleged violations of the law to the grand jury. These government lawyers will advise the grand jury regarding what witnesses should be brought as evidence to be examined. They will also prepare a formal written accusation. What they cannot do is to stay in the room while the grand jury debates and votes on impeachment. Witnesses are called to testify one after another. Each witness shall take an oath before the grand jury president, and if this is absent, his deputy. Then you will be questioned first by the government lawyer and then President of the grand jury, then the remaining members of the grand jury may question. All questions will be made to the witnesses must be relevant and appropriate, related only to the case under investigation. If there is any doubt as to whether a question is appropriate, you should consult a government lawyer. The law prohibits that anyone who is not authorized should not be present in the room while the evidence is exposed. A person who is not authorized may be present only if the vote in the grand jury room with respect to the presence of this person is positive. A witness may absent the room to consult with his/her lawyer. The grand jury cannot oppose such behavior because each witness has that right as this cannot be present in the room. It is available after each question while this does not prevent the order of the research process. In addition, a witness who is testifying before grand jury may submit the Fifth Amendment privilege against self-incrimination as if he denies responding any questions. In that situation, the grand jurors may refer the matter to court for the purpose of obtain a ruling. It is the instrument the prosecutor uses to acquire evidence for the case. This summons is translated as sanctioned, meaning that if you have been supplied with this subpoena, you must agree with it or deal with the consequences. They are carried out by the police or a sheriff to the individual or entity that is compelled to show up before the grand jury. The prosecutor is the one who determines which witnesses to address, and then runs the grand jury investigation. Subpoena testificandum: This is an order for an individual to testify before the grand jury. Subpoena duces: The prosecutor is attempting to get particular tests. This summon seeks information, such as writings, tapes, photographs and test results. This is usually done without any explanation to the person being investigated by the government; for the purpose of determine whether this evidence justifies that there is possible motivation to believe that a crime has been performed and that the person being investigated was the one who committed it. When the grand jury receives all the evidence, all persons who are not members of the grand jury except for an interpreter if needed to help with language interpretation to any juror must leave the room so that it can begin its deliberations. The presence of any other person in the room at the time of the grand jury deliberation or vote, can override the indictment. After all the people who should not be present in the room have left, the president shall request the grand jury to debate and then vote on the matter of whether the evidence convinces the jury. Each grand jury has the right to express its view of the matter in question, and the jury should hear the comments of his teammates before forming an opinion. Only after each grand jury has had an opportunity to be heard the vote will proceed. At least twelve of the 16 members' present vote must be in favor of the prosecution so that it can be approved. The president of the grand jury must keep an account of the membership coinciding in the indictment and the record must be filed with the Clerk of the Court. If the decision is to accuse the grand jury, the trial will probably start faster. If the accusation was denied, the president should report it immediately to the court for the defendant to be released from jail or bail. Although a grand jury cannot choose to indict, their procedures will provide a valuable evidence for prosecutors when deciding the case, because the prosecutor may still bring the accused to trial if he thinks having a strong case. Without a grand jury to investigate first, the prosecutor will have to prove to the trial judge that he has enough evidence to pursue the case. Meanwhile if a grand jury investigates the case first; the prosecutor may skip this step and go directly to trial. The grand jury investigations are maintained in absolute confidence and secrecy. All witnesses who are present in the grand jury are bound to secrecy; they are prosecutors, jurors, court reporters, and office staff. The identities of the jurors will be kept secret as well. Why Grand Jury Proceedings are secret? federal jury can be extended for another 18 months, so it may be deduced that the total duration is 36 months. The duration of the statewide grand jury varies widely from one month to 18 months. A grand jury indictment is an official offense in writing emitted by a grand jury in a criminal case. Commonly, the jury is responsible with identifying whether there is enough evidence to indict a suspect with a criminal violation. Using a grand jury accusation is designed to guarantee that a prosecutor will take a case to trial if there is cause to support the crime that was committed by the suspect. Federal indictment or true bill is the foundation for the prosecution of serious criminal case in federal court in the U.S., it is often the following step in federal cases, which, after the federal indictment is issued, an order is prepared to arrest the accused, if not already stopped. Individuals mentioned before a grand jury are categorized as: targets, subjects or witnesses. Target: is an individual who believes that the prosecutor broke the law and will likely be accused of a crime depending on the grand jury’s investigation. Witness: is a person, who has important evidence or information to the purpose of the grand jury investigation. This individual needs to have a clean record. Subject: is a person who the prosecutor is undecided about his or her position as either a target or a witness in the case, so it will be ranked in the center position between the target and the witness. I believe that in carrying out Federal Criminal Investigation, a grand jury can ignore some evidence that they consider unimportant but they can help with the defense. People should never try to embrace these risks without the help of an knowledgeable criminal defense attorney. Never underestimate something as important as a grand jury subpoena as it may jeopardize your own freedom. The federal grand jury subpoenas are almost never crushed, even if they require irrelevant information or go beyond the authority of the grand jury. Definitely, this demonstrates that the production of documents may entail serious risks. Gallardo Law Firm is a law attorney firm with extensive knowledge in criminal defense cases before a grand jury. For many years we have helped defending clients in Florida. Although our lawyers cannot be with you in the grand jury room, they will be right outside helping and guiding. You have the right to consult with them whenever deemed necessary. If you are cited by the grand jury you need to know your rights, so it is necessary to appear before the grand jury having consulted with a qualified criminal defense attorney to help you through the process. Gallardo Law Firm attorneys will explain your rights, and the complicated legal system. Working with our lawyers will prevent you from unintentional mistakes; typically, government prosecutors come very aggressive so that our attorneys will try to work out a deal. We understand the agony and mental pressure that an accused person of crime experiences, not only the person charged, but the family as well. We will help you with the highest quality counseling. Is There a Grand Jury Hearing for All Criminal Cases? No, Many jurisdictions use other ways, even a preliminary hearing instead of a Grand Jury hearing. Who can be present while the Grand Jury is in session? 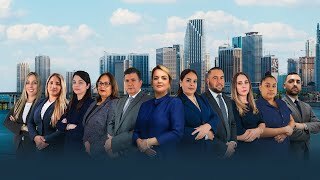 The following persons may be present: attorneys for the government, the witness being questioned, interpreters if needed, and a court reporter or an operator of a recording device. Who can be at the time the deliberation and voting takes place? Only the jurors, and any interpreter assisting a hearing-impaired or speech-impaired juror. No. Only authorized individuals can be present since the grand jury proceedings are secret. Can a witness be represented by a lawyer in the grand jury for some exceptional circumstance? In the federal system, a lawyer cannot be present in the grand jury room for any reason, although it is possible to interrupt his declaration and abandon the grand jury room to consult with the lawyer. Few states allow an attorney to be with the witness; some allow counsel to advise his client, others simply allow the lawyer observing the proceedings. What requirements must a person have to serve on the grand jury? What are the rights of the Fifth Amendment? The grand jury is consecrated in the Federal U.S. within the Fifth Amendment of the Constitution. It is part of our Bill of Rights which states that no individual will be held to answer for a capital crime except that indicted by a grand jury, no one will be subject for the same offense twice, and no one may be forced to incriminate itself in any criminal case or forbid of freedom or property without the correct process of law. In addition, any person will take private property for public use without just compensation.